This site has changed host location. Nothing should change except performance. After a year of exasperation I am changing my web hosting service. 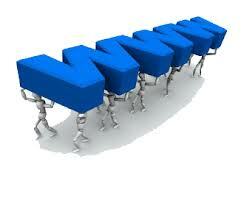 Ever since I started my original site nearly 15 years ago, I have used US-based host systems. This was originally because the hosting business was much more mature in the US and also because I spent much of my time there. My previous provider, Greengeeks, is located in Chicago, Ill, and for several year performed quite well. Their data centre is quite impressive also. However over the last 18 months or so, they have been the target of repeated distributed denial of service (DDOS) attacks, and although my own site is very well protected, their problems affect the performance of my web pages, and of the admin I need to do to support them. Frequently the whole admin interface, or email, or worse the main site, grinds to a halt, and that is not acceptable these days. They have pretty good responsiveness on the support side – but all too often have fobbed me off with boilerplate excuses that were no help to me. An inability to access the system while in SA recently was the last straw, so I decided to leave and go to a UK-based supplier. So I have changed to Vidahost, based in Maidenhead, near London. This outfit has got excellent reviews for performance and support, and although these always tend to decline over time, I have been quite impressed so far. They certainly made the transition seamless for me, and hopefully for you also. The new server is very fast and responsive, so it will be better for most people east of the UK. I’m not sure how it will affect performance for those of my readers who are in the US or say Japan – it will be interesting to see. I think that improved server speed will make up for any transatlantic delay. As long as they can keep the server farm from being submerged by the nearby river Thames, things may work out OK. We’ll see. Anyway….onwards and upwards – and goodbye to sluggish WordPress dashboard misery!